Our Banana Textiles are organic and woven by hand following traditional Khmer techniques. 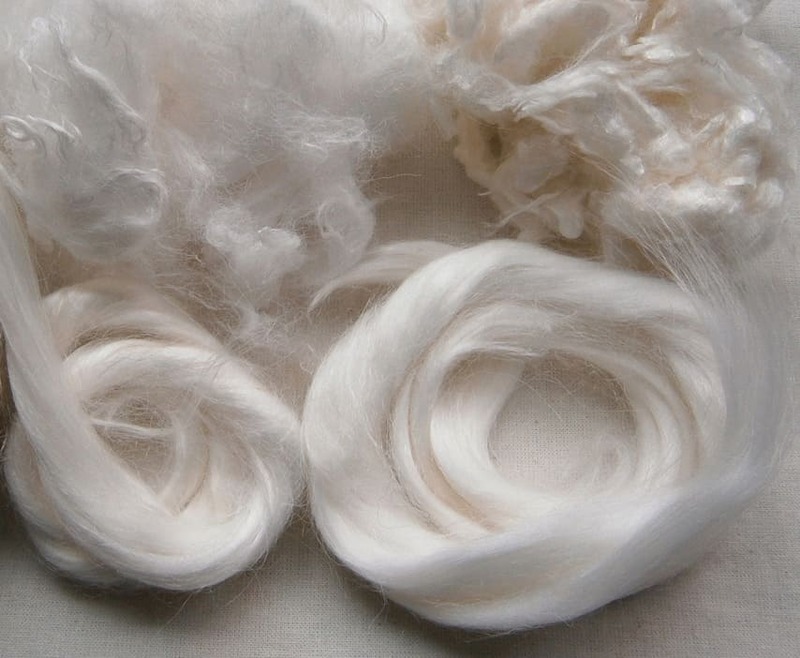 All the fibers are natural and so rare, thus quantities are unsettled and limited. 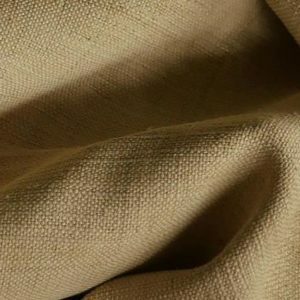 The Banana blended fabric is a natural fabric, completely biodegradable and recyclable. 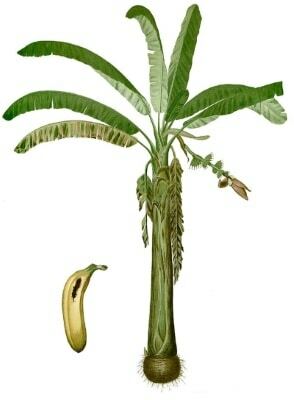 The fiber is extracted from the trunk of the banana tree. We get it at Siem Reap in Cambodia. 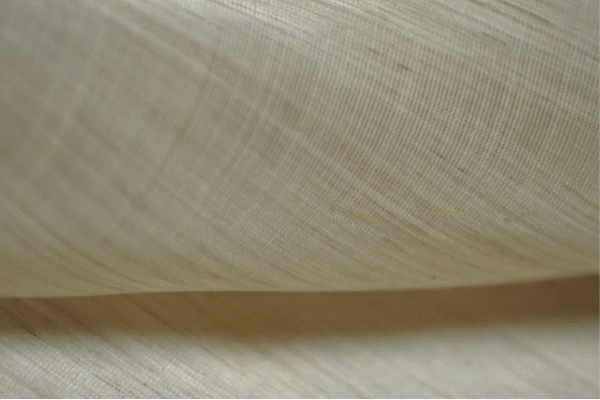 The fibers from the banana stems throughout history have been used to create Banana textile for tablecloths, saris, kimonos and more. Today, many designers and product manufacturers seek out Banana textile due to its resiliency, softness and sustainability. Banana fabrics are especially great for raincoats and outerwear. 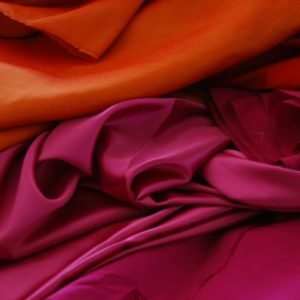 We propose to our clients a silky blended fabric made with 78% of Banana and 22% of Lotus in order to provide a fabric more resistant, brighter and water repellent. 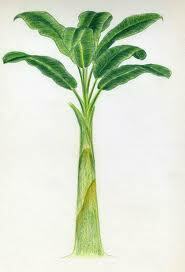 Banana textile is created using raw materials, which are generally discarded after a banana harvest. Samatoa uses the best socially responsible manufacturing techniques to create innovative ecofabrics that support women’s empowerment in Cambodia. During 13 years, we developed a fantastic team of expert spinners, weavers, seamstresses, and designers. 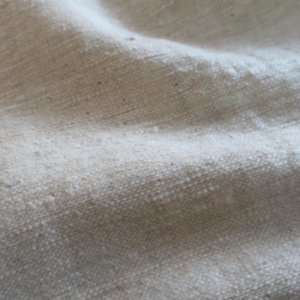 Our innovative fabrics are 100% ecological, hand spun, and woven, following traditional Cambodian methods. This gives them a unique texture and properties available nowhere else on the planet, which are now in demand around the world. The basics of the Samatoa model rely on the belief that sustainable economic development is intrinsically linked to social equity and environmental protection. No source of polluting energy, no chemical or toxic substitute, and no heavy metal is used in the manufacturing process of our fabrics with the greatest respect for nature. 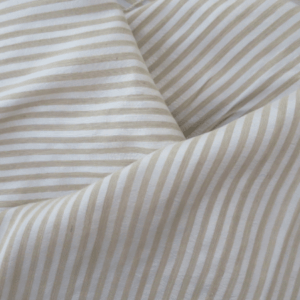 How to take care of banana textile?